Home » Behavior » Habal-habal in Metro Manila? Habal-habal is the term used for motorcycle taxis that proliferate in many rural areas but are steadily making their presence felt in urbanised areas as well. In Metro Manila, there are already some reports and spottings of habal-habal operations at Bonifacio Global City and in the White Plains area in Quezon City. I’m sure there are other areas where these informal services are being offered and the easiest way to spot these are by way of observing if there are motorcycle riders waiting in an area with extra helmets. The usual excuse if they are accosted is that they are just going to fetch someone (perhaps a relative or a friend) so they bring along that extra helmet for that person. When they do engage a passenger, I would like to think that they just ask the passenger to play along with them should they be apprehended and asked about their business. Checkpoints around Metro Manila and many other cities and towns routinely stop motorcyclists to check on their registrations (i.e., there are many unregistered motorcycles around the country) and to pre-empt crime involving those “riding in tandem.” Motorcyclists with more than one passenger are risky and have a higher likelihood for severe crashes. The provision of services in exchange for monetary compensation (i.e., payment) puts these informal transport under the category of colorum services. These are not covered by insurance as required for formal public transport and so there are issues of liability should there be a crash involving these vehicles. No insurance means that passengers cannot claim for anything except compensation they can demand from the service provider (assuming he survives the crash) or the other parties involved (if it can be established that the other party is also at fault). You can always sue people but in this case, the pre-condition is that they shouldn’t have been riding a habal-habal in the first place. Alleged habal-habal waiting in front of an establishment along Katipunan Road. These typically cater to employees of establishments or staffs of households in the exclusive villages along this road, which has no formal public transport service due mainly to its being a private road that happens to tolerate through traffic. 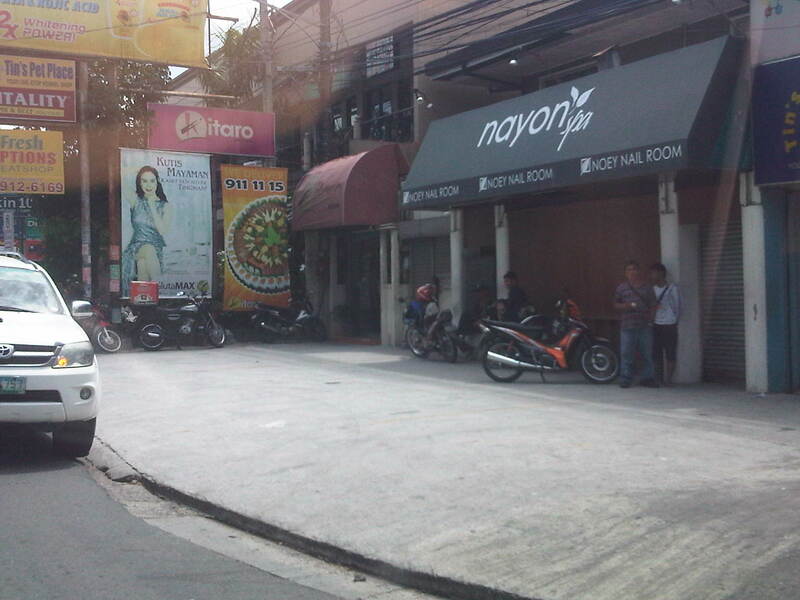 You can find other motorcycle riders offering such services at the corner of Katipunan with Boni Serrano Avenue. By d0ctrine in Behavior, Governance, Motorcycles, Paratransit, Public Transport on June 13, 2014 .